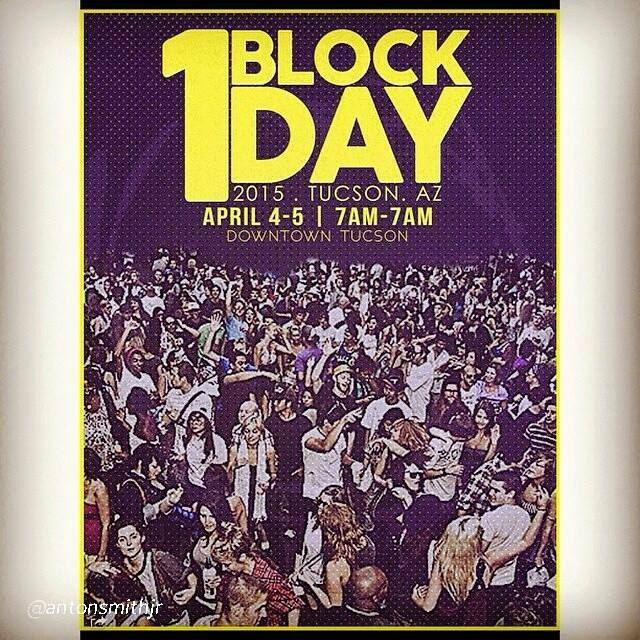 One Block One Day (OBOD) 2015 is a 24-hour block party and community arts festival hosted by The Human Project with assisted collaboration from Downtown Tucson Partnership and CityBoyz Music Group. The purpose is to create a space (One Block) where for 24 hours (One Day) our world is a complete utopia; free of crime, gender biases, racial tensions and socioeconomic woes. This event will foster diversity, pride and hope within the community by bringing top artists, leaders and educators to the same stage for a full day of sharing ideas, strategies and inspiration. The event will be on April 4, 2015 in Tucson, AZ. Wristbands to this event will cost $10. Presale wristbands for $7 at Eventbrite: https://www.eventbrite.com/ (look for April 4 listing). Event location says 100 N. Stone Ave. so I hear that means on Stone Avenue across from the Joel D. Valdez main library, but the FB page says between Congress St. and Pennington St. Won’t be hard to miss. 530pm Saturday Drag with Zeldana Twins, Raul Martinez and more !! Main Event Page: https://www.facebook.com/events/765932236835536/. Hosted by Hosted by Anton Smith and Andreas Dre Day Johnson.